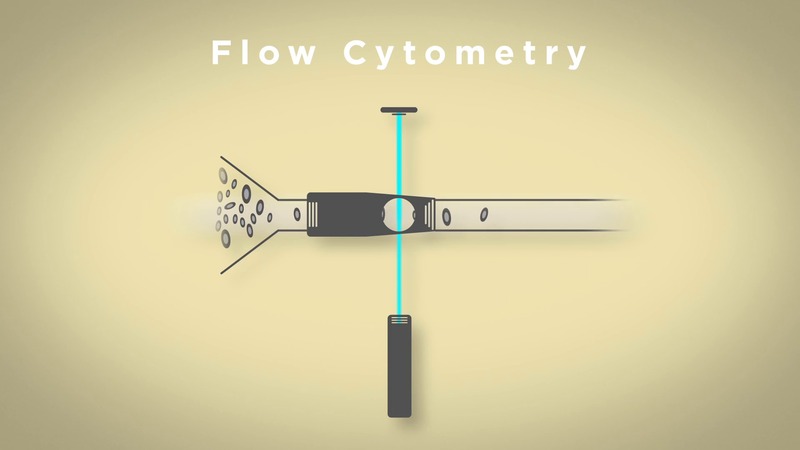 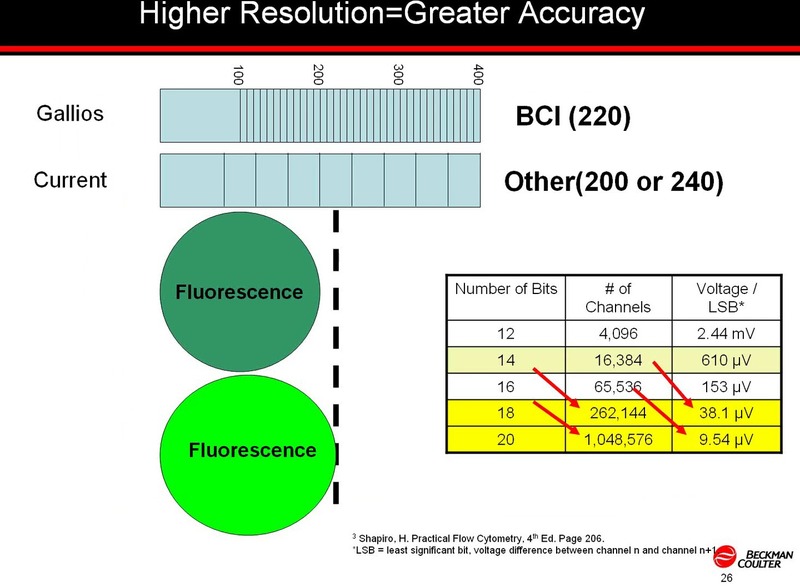 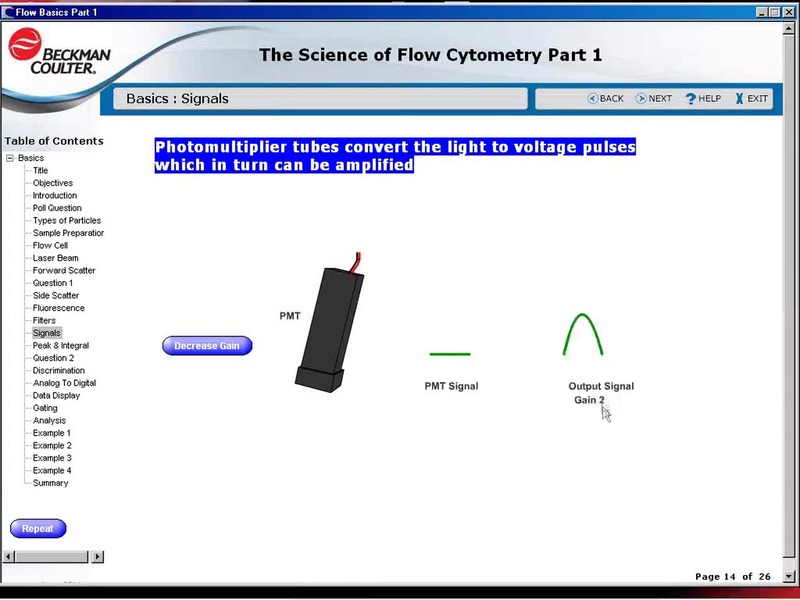 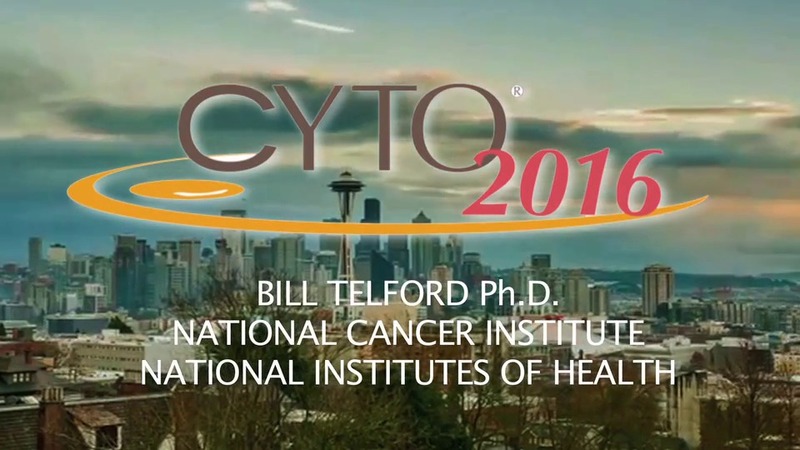 A brief overview of features, such as fixed, solid-state diode lasers that provide optimal excitation at the flow cell, which enable the Navios flow cytometer to deliver reliable, high-quality results. 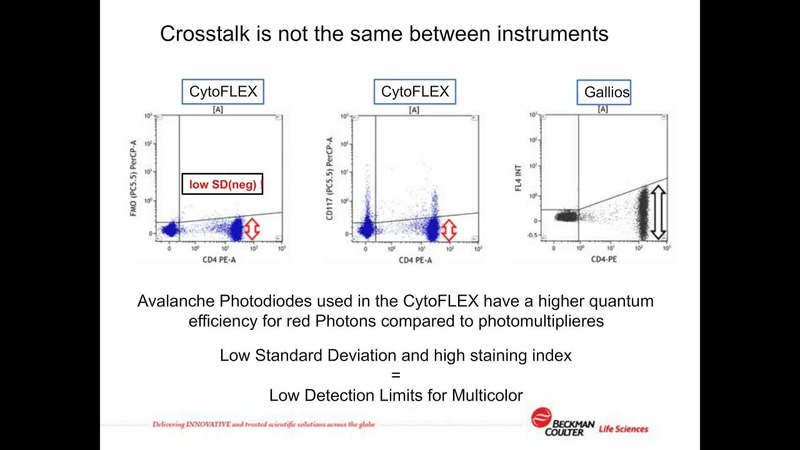 Krome Orange dye conjugates can be used on any flow cytometer equipped with violet excitation and appropriate emission filters. 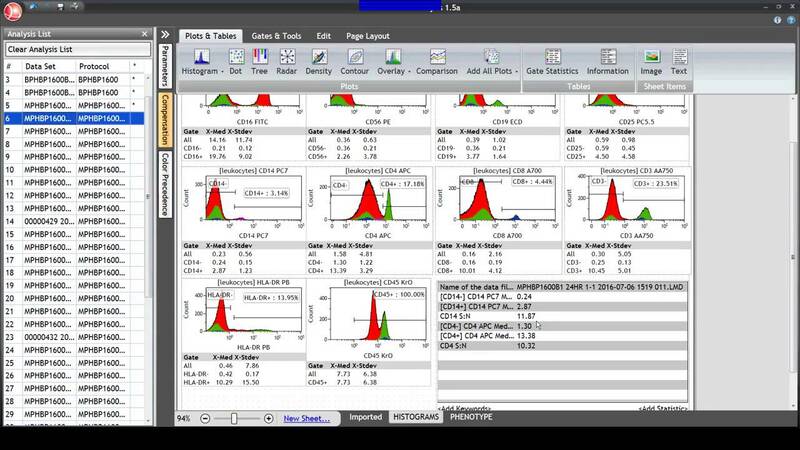 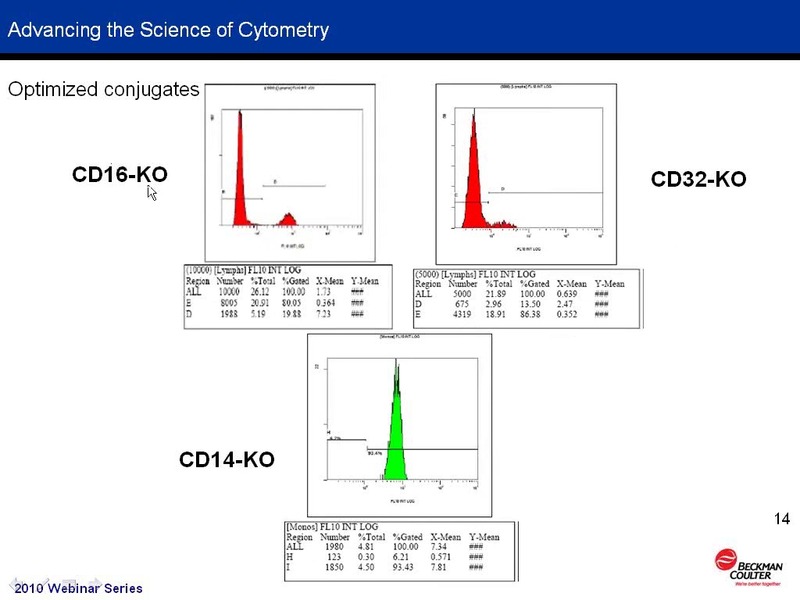 Data presented using Krome Orange conjugates of anti-human CD4, CD19 and CD45 in multicolor applications, including side scatter/CD45 gating and a 6-plus color stain. 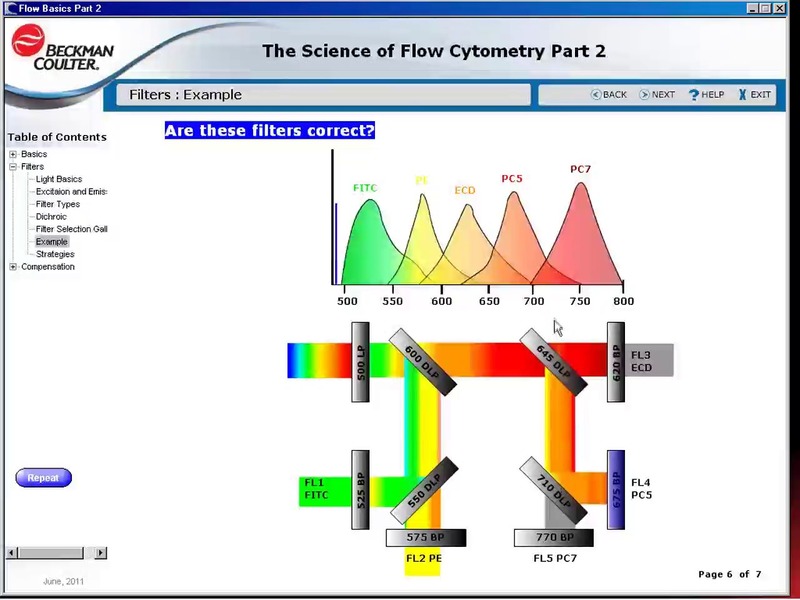 Krome Orange dye provides optimized second organic fluorochrome for violet excitation, enabling 10-color applications on the Gallios / Navios flow cytometer systems.